Following in the footsteps of the 911 Carrera range, the 718 model range has gone turbo, and has moved to two pairs of opposed cylinders—a pair short from what we normally know. But hey, we’re talking about Porsche here, a sports car company that has a rich heritage when it comes to turbos and four-pots. In fact, the new name—718—refers to the 1957 718 RSK, a 1.5-liter four-cylinder racecar with numerous wins, including first in class at Le Mans a year later. As for turbos, who can forget the original Turbo, the 930, launched in 1975? So Porsche and turbocharging go hand in hand. It’s simply taking advantage of what it already knows. We previously tested the 718 Boxster. This time, we have the 718 Cayman. Just like the Boxster we drove, this Cayman comes with bi-xenon headlights with LED daytime running lights (LED headlights with four-point daytime running lights come as an option). This is an updated model, so parklight mode no longer turns off the DRLs, instead opening the LED strips at the bottom. Air intakes and inlets are likewise redesigned, and are larger. The most noticeable change is an accent strip in gloss black with 3D effect ‘PORSCHE’ lettering, flanked by three-dimensional LED taillights with four-point brake lights in black housing and clear frame. The 718 has sharper lines compared to the naturally aspirated models’ softer edges. 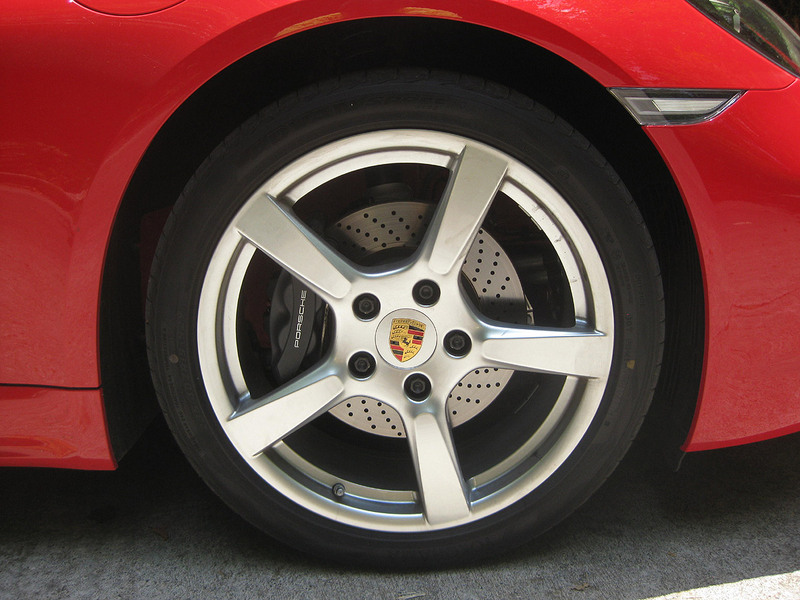 This 718 Cayman rolls on 19-inCH Cayman S wheels with 235/40 rubber in front and 265/40 at the rear. There’s the now familiar 918-derived Sport Design steering wheel. There are no multifunction buttons so as to keep the price down (honestly, you don’t need it). The Sport Response Button, meanwhile, comes as an option. The dashboard has been redesigned; the air-conditioning vents being the most obvious change, which were rectangular in design and are now round. The gauges are also new, although you have to look carefully to tell the difference. For instance, 4,000rpm is now at 12 o’clock. 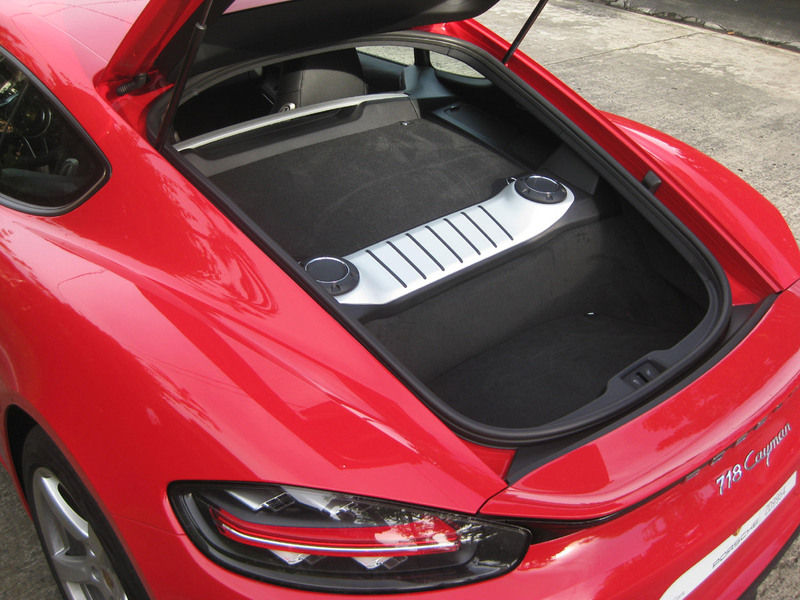 The Cayman’s mid-engine layout makes it such a practical sports car, with front (as deep as three cases of softdrinks or beer atop each other. Please take note that the example cited is for imaginative purposes only. Don’t drink and drive) and rear luggage compartments, allowing you to bring the things you need for an out-of-town trip, not just a pair of duffel bags. The wife will approve of this sports car. This entry-level variant is powered by a 2.0-liter turbocharged flat-four, delivering 296hp and 380Nm. 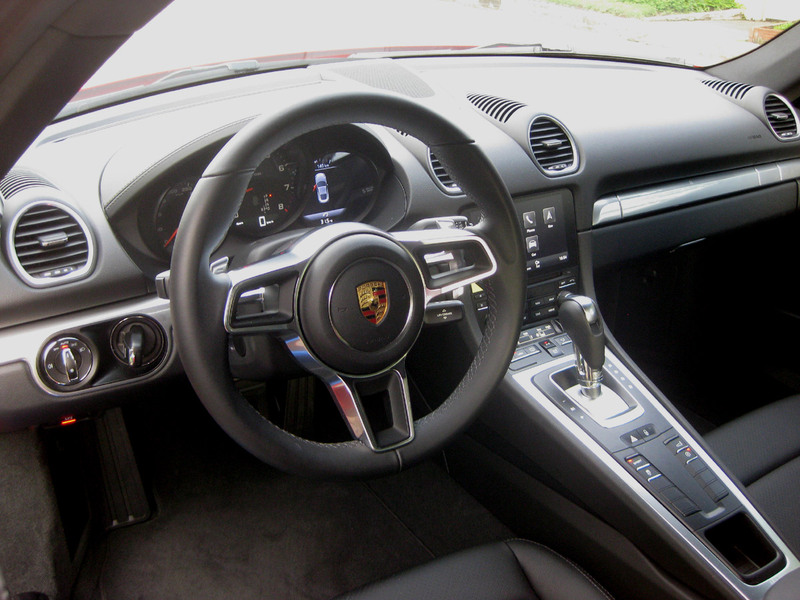 It’s coupled to the PDK dual-clutch gearbox. 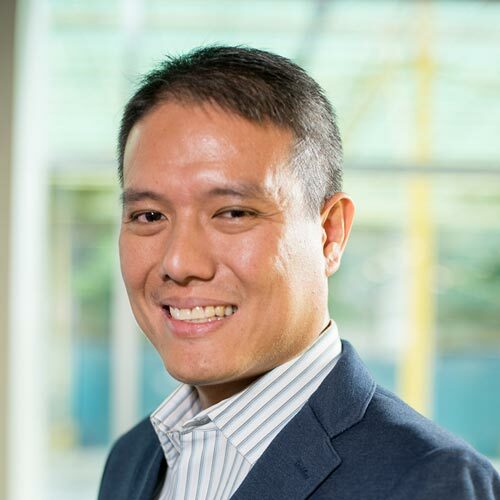 There’s no manual allocation for our market. The rev range is just about linear all the way to the 7,400rpm redline, with a slight kick just before hitting 3,000. With torque now available from 1,950rpm to 4,500rpm, mid-range is the biggest improvement. While it’s a joy to squeeze the naturally aspirated flat-six to the redline, there’s no denying that the mid-range torque now is more useful. There’s still some apprehension as to how the flat-four sounds. The growl is rougher compared to the flat-six, but all in all, the tone is almost similar. You have nothing to worry about; it actually still sounds like an NA. A smaller-displacement turbo means the 718 is more efficient. 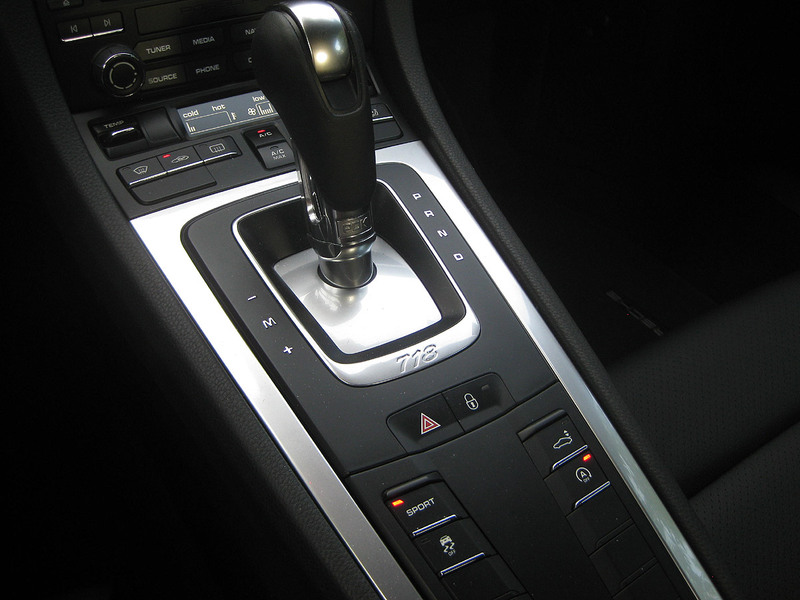 With more low-end torque, the PDK gearbox short shifts between gears (at around 2,000rpm) even in Sport mode. You have to be more decisive when stepping on the throttle to maximize the rev band. Or better yet, shift to manual mode and shift via the paddles. Driving the Boxster a year before gave me an idea how much the Cayman can yield, so I wasn’t as conscious with the numbers this time around. 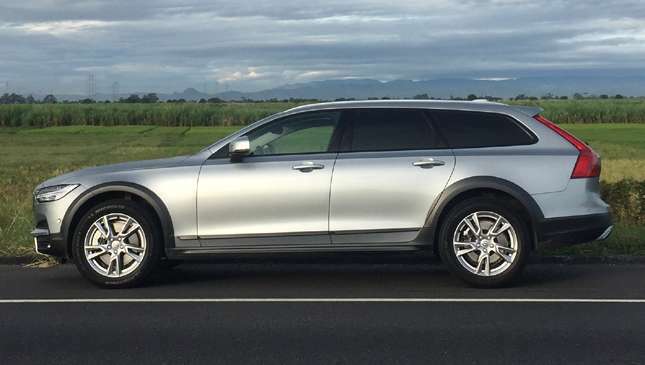 Straddling between Normal and Sport mode around the city and on the highway returned a combined 7-7.5km/L. 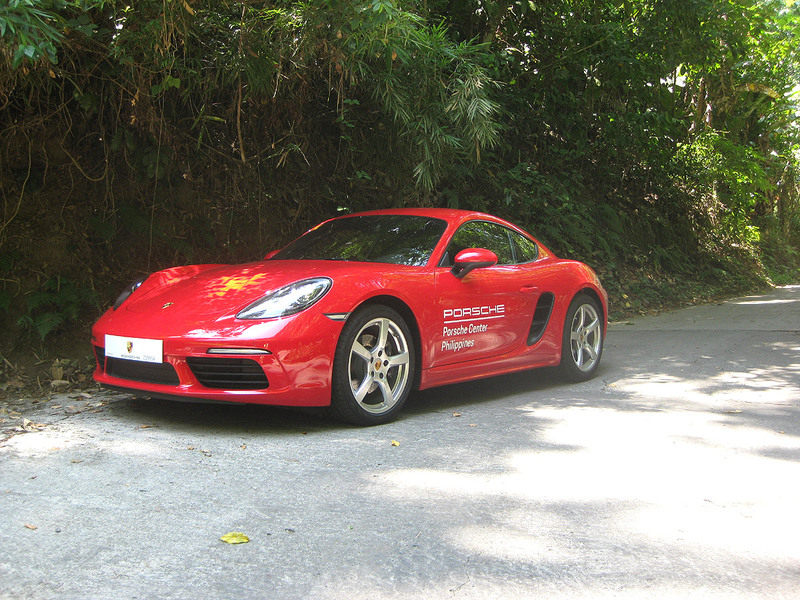 With the Boxster, I managed 8km/L and 13.5km/L respectively in Normal mode when driving efficiently. The 718 Cayman is all about balance. Handling is agile. Give it a curve and it will tackle it adeptly. The chassis is superb; steering is beautifully weighted and wonderfully precise; throttle response is immediate; the brakes are impressive (aided in part by the car’s balance distribution); and the suspension’s firmness is just right, giving the car a lovely composure. 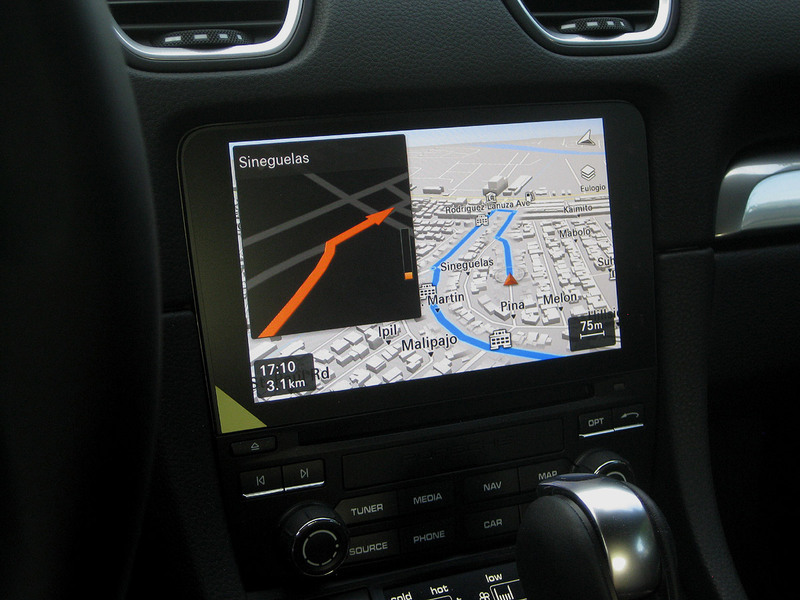 The Porsche Communications Management system now comes with navigation as standard. I got to try it out in other Porsche models around Singapore, and it’s a welcome feature for our market. The system is user-friendly—searching your destination is uncomplicated and the graphics are crisp. Along with a map is an option for an inset with reader-friendly arrows for a quick look. 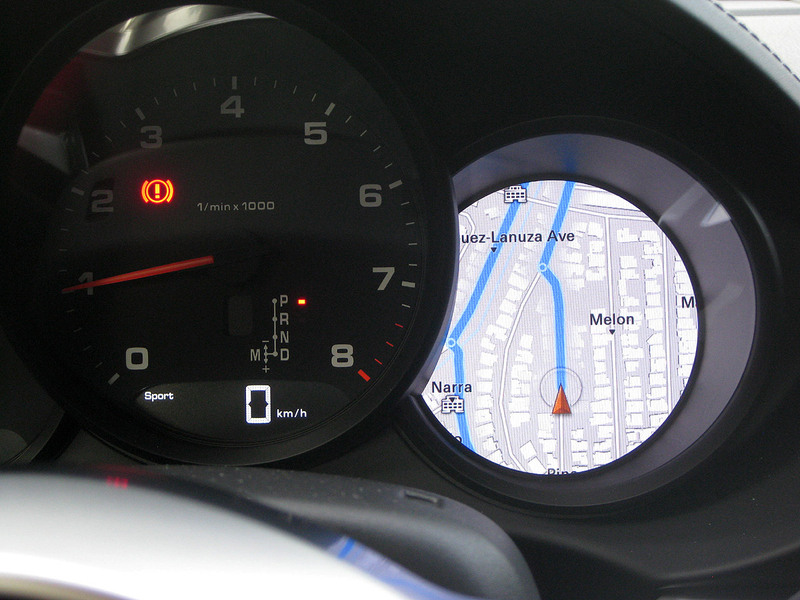 Speaking of keeping your eyes on the road, you can opt to display the map or arrows on the display on the right side of the tachometer. The Cayman now also has a rear camera. The Boxster I tested still had sonar signals. 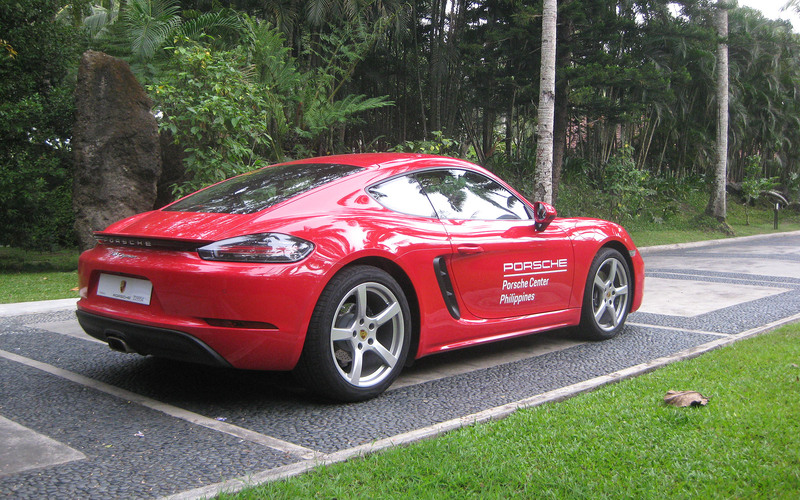 Even without it, however, the Cayman is easy to park given its size and good rear visibility. 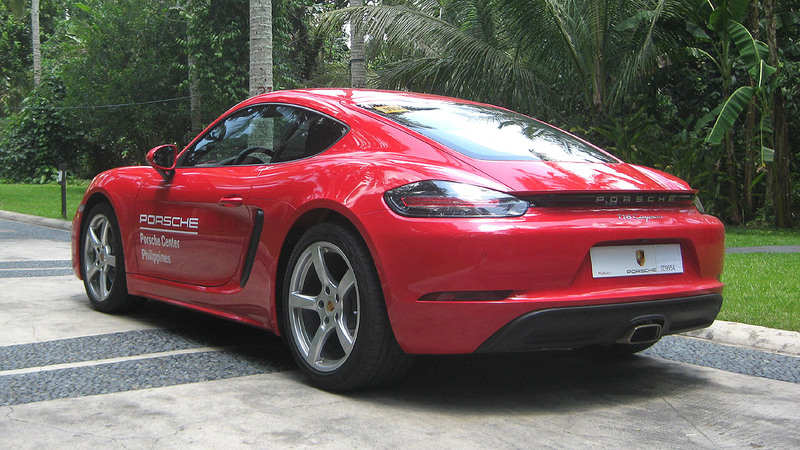 I consider the 718 Cayman to be the most sensible sports car, because it possesses a strong argument in terms of its price tag and its capability, specifically against the 911 Carrera S (the base Carrera is not available for our market due to the mere price difference with the S) and the slightly more powerful 718 Cayman S.
For a Porschephile, it’s a case of “My heart says 911 but my mind says Cayman.” With the Carrera S priced at P14.5 million, it’s more than twice the price of the Cayman, but not necessarily twice the car. 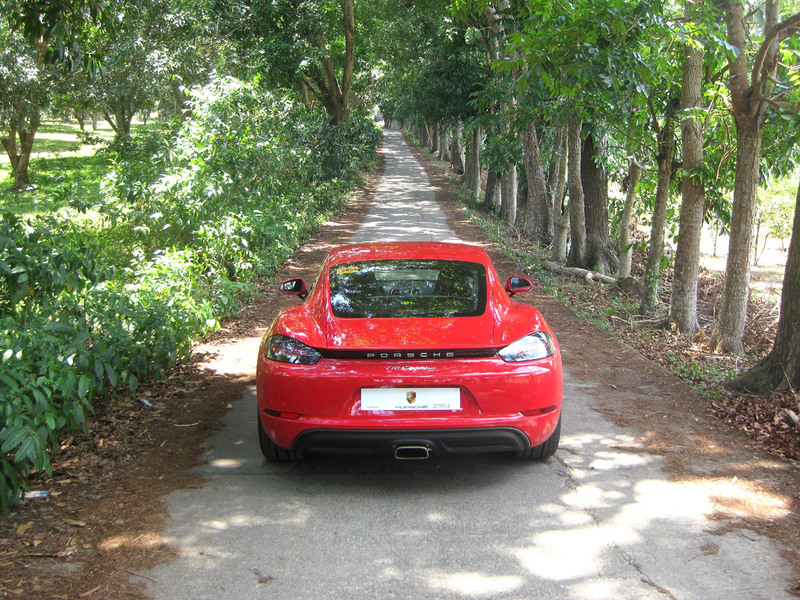 The Cayman S is priced at P8.25 million, but that’s a big difference to pay for 50 more horses, which is trivial for our roads. Unless you go to the track every so often, the base 718 is more than good enough around town and out-of-town jaunts. 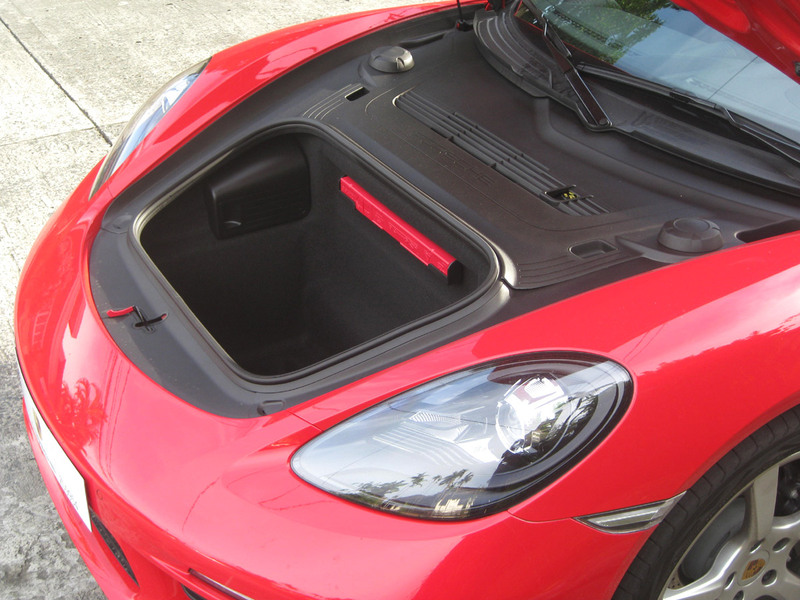 The size of the Cayman is also another point. It’s reminiscent of the older 911s, particularly the 993. It’s what the 911 should feel like, with the 991 becoming bigger and more GT-like. The 718 Cayman offers that Porsche experience with a very reasonable price tag and more than enough power. It’s a pretty good crack at Porsche ownership.